*When A Plan Comes Together by Jerry D. Young. Price: Free. Genre: Science Fiction, Adventure, Post-Apocalyptic. Rated: 4.8 stars on 12 Reviews. 188 pages. ASIN: B011BE31HW. *(Free for Kindle Unlimited) No Higher Ground (Deal, Not Free) by Roman Godzich. Price: $4.99. Genre: Science Fiction Deal, Sponsor, Space Thriller, War Between US and China, Arrivals from Space. Rated: 4.9 stars on 24 Reviews. 366 pages. ASIN: B07748L75K. *Survival (Deal, Not Free) by Rachel Watts. Price: $4.99. 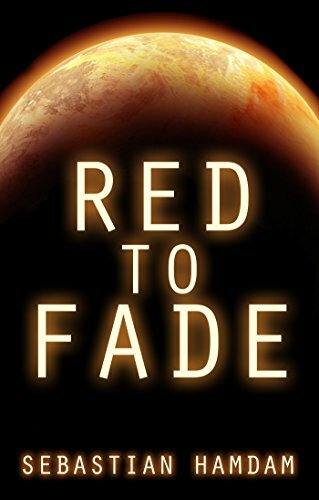 Genre: Science Fiction Deal, Sponsor, Economic Collapse, Environmental Collapses, The Last Multinational Corporation, Hiding a horrifying Secret, What would you face for those you love. Rated: 5 stars on 1 Reviews. 142 pages. ASIN: B0792H27CL. Please Note: Book is also available in Paperback Format. *Arcadia: The Wonderlust Chronicles (Repeat) by Hope Christine. Price: Free. Genre: Science Fiction, Adventure, Steampunk. Rated: 4.4 stars on 11 Reviews. 327 pages. ASIN: B00O1DGOZ2. Principal (Final State Book 2) by Kevin Gaughen. Price: Free. Genre: Dystopian Science Fiction, Political Fiction. Rated: 5 stars on 4 Reviews. 465 pages. ASIN: B079GGZBWK. Ages In Oblivion Thrown (The Sleep Trilogy Book 1) by Kate Gray. Price: Free. Genre: Science Fiction. Rated: 4.7 stars on 5 Reviews. 224 pages. ASIN: B00CTT01WM. *Salt of Gomorrah (Silvers Invasion Book 1) by Alex Mersey. Price: Free. Genre: Science Fiction, First Contact, Alien Invasion. Rated: 4.6 stars on 21 Reviews. 230 pages. ASIN: B01MULUCV2. **The Long, Lost Exit Home: Sci-Fi Horror Alien Invasion Thriller with Forbidden Love (Dark Fantasy Scary Adult Horror) by Chris Roberts. Price: $0.99. Genre: Adult Science Fiction Deal, Sponsor, First Contact, Horror, If you like Stephen King and Dean Koontz. Rated: 4.3 stars on 69 Reviews. 408 pages. ASIN: B075Z8HY29. *Price of a Bounty (Reliance on Citizens Makes Us Great! Book 1) (Repeat) by S. L. Wallace. Price: Free. Genre: Science Fiction, Adventure, Dystopian. Rated: 4.3 stars on 48 Reviews. 291 pages. ASIN: B005H93BBE. *Divine Endorsement: Part One of the John Harrod Trilogy (Deal, Not Free) by Andrew J Weis. Price: $0.99. Genre: Time Travel Science Fiction Deal, Sponsor, Race to find the Last Page of Devine Text. Rated: 5 stars on 1 Reviews. 319 pages. ASIN: B0763HHFLK. *Downfall (The Final Authority Book 1) by Conar Densmore. Price: Free. Genre: Science Fiction, Cyberpunk, Military. Rated: 5 stars on 5 Reviews. 361 pages. ASIN: B0745YFLKG. Triskele: Book One of the Bwy Hir Trilogy by Lowri Thomas. Price: Free. Genre: Science Fiction, Contemporary Fiction. Rated: 4.3 stars on 14 Reviews. 334 pages. ASIN: B00N339NKY.